"lighten up" with an EcoluxLighting LED light. You will be amazed at what this light does when placed on your machine . . . and it fits any machine. This is a very useful tool. You will be amazed at what a difference it makes. 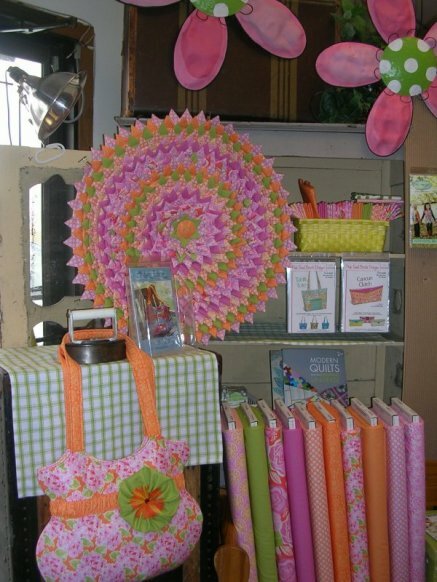 "What Was She Thinking" Rug class, tomorrow, Saturday, April 6, at 9:00 a.m. It is designed as a rug, but we like the idea of using it as a table topper or wall hanging. We've made it in several different colors, gorgeous every way! 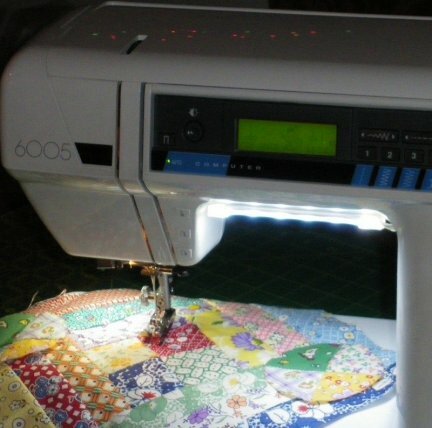 Also, we are offering another Machine Applique class on April 16, at 6:00 p.m. You will learn three different methods of machine applique, the right method for the right quilt is important. Check our class schedule on the website for more opportunities.